Earlier this week, Kara Swisher interviewed Kate Crawford and Meredith Whittaker, who run NYU’s AI Now Institute. It is an interesting and thought provoking discussion. I don’t personally love Kate and Meredith’s answers on how society should be thinking about these issues. They feel very “20th century” to me. But regardless of what you think about their particular take on the issues, I do think we all ought to be paying a lot of attention to AI and its impact on and role in our society. It is important. I am not a fan of Orthodoxy. I appreciate the power of religion although I am not religious personally. I respect the followers of Allah, Jesus, Moses, Buddha, and other religious figures. I know that the beliefs of religious people give them great comfort and a purpose in life. What I don’t appreciate is when a person of faith believes so deeply that they cannot tolerate beliefs that are different from theirs. I call this Orthodoxy and it has led to wars, horrible crimes, and many other bad things. It is the downside of what is and should be a very positive thing for humanity. We see this same behavior developing in the crypto sector. Bitcoin and other cryptoassets have become a belief system. That is at the core of their value. Why would I give you $5000 of my dollars for one of your Bitcoin? Because I believe in Bitcoin and want to own it. This faith in the value and power of cryptoassets is good. It is necessary for all of the other good things that can come of them. But like religion, there is an Orthodoxy in these communities that borders on obsession and leads some people to be extremely intolerant of any other community or cryptoasset. The crypto community calls these people “maximalists”, a term I don’t like and don’t use. I believe that we will see many cryptoassets emerge to solve different kinds of problems, just as we have seen many different religions develop to serve different groups of people. This diversity is good. It leads to a richness of thought and innovation that moves us forward. If someone wants to believe deeply in one thing and nothing else, we should understand and appreciate it. But when that leads to hatred, nastiness, and ridicule, we should reject it. We should call it out for what it is and we should not accept it. Here in NYC, we are about halfway into a 10-year effort to get computer science classes into every public school building in NYC. We are already seeing significant impact and outcomes. Most of the students taking CS classes at school live in neighborhoods in NYC where there are no tech companies and they can’t see the pathway that they are on if they want to be. That is where the Annual Computer Science Fair comes in. 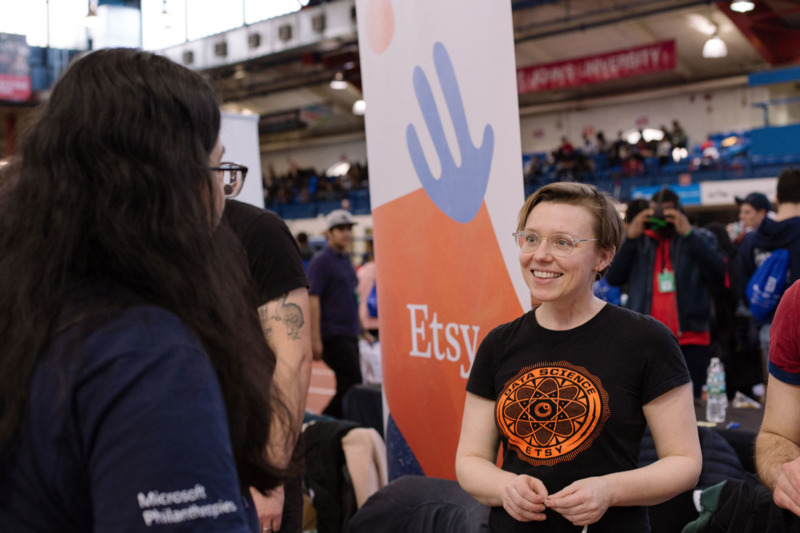 This year was the sixth annual CS Fair. 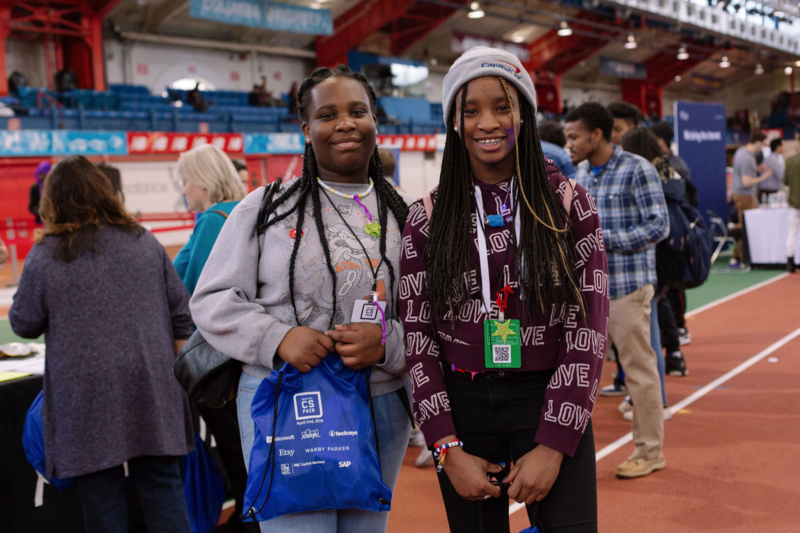 We invite high school students who are taking CS classes to take the morning off from school and come to the Armory in Washington Heights and meet tech companies that they could one day work for and colleges/universities that they could attend. 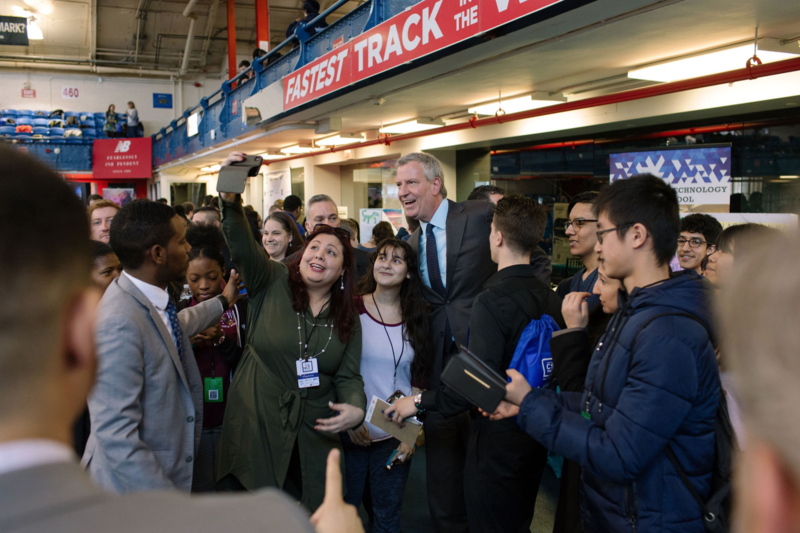 I spent much of yesterday at the Fair and had the honor of taking Mayor de Blasio, who has been funding CS4All since the early days of his administration, through the event. Here are some photos from what is always a fantastic day for me. 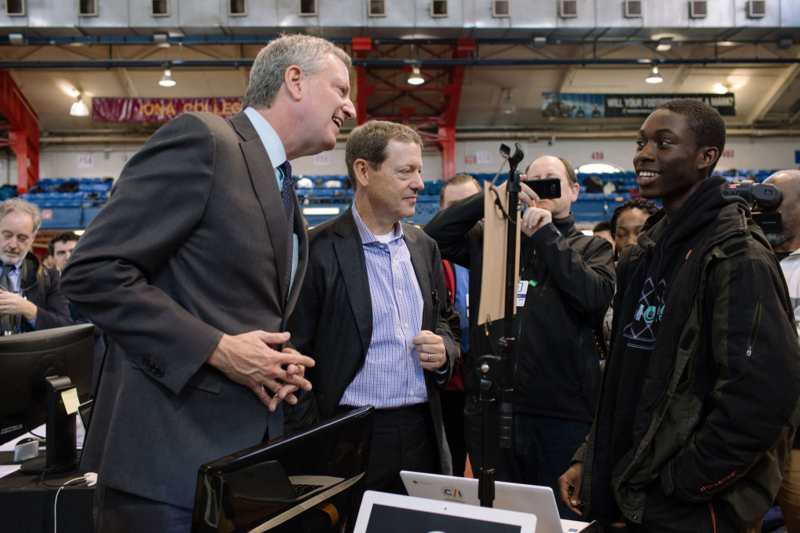 This teacher from Information Technology High School in Queens had two teams of students showing software projects in the student showcase. She and her students took a selfie with the Mayor. 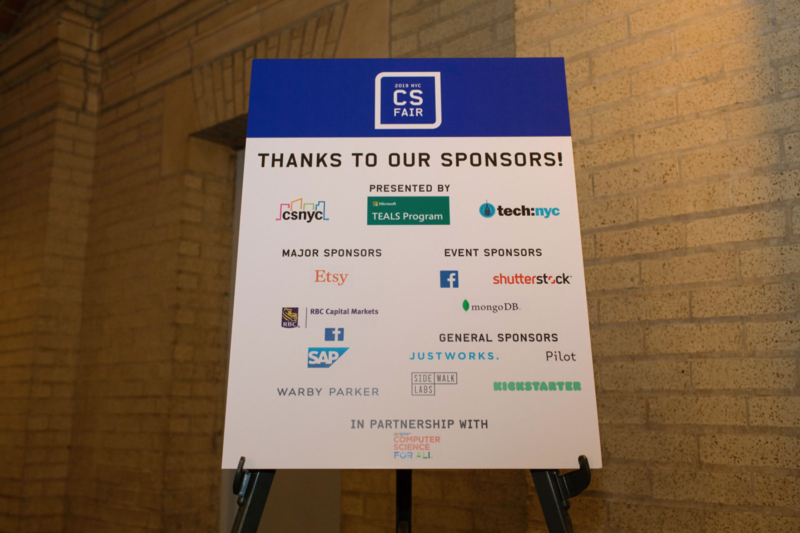 The Annual CS Fair would not be possible without the financial support of tech companies who underwrite the expenses. I would like to thank the major sponsors for making this possible. 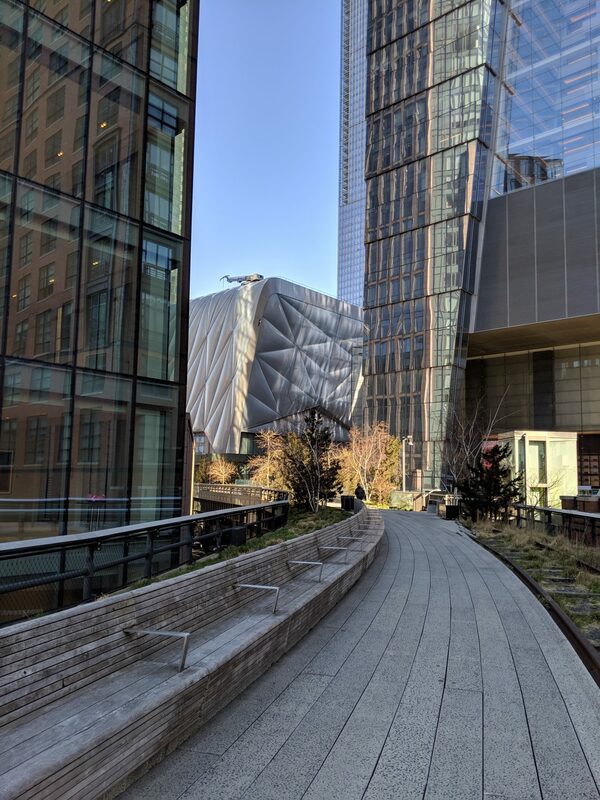 Yesterday morning, in raw, windy, 30 degree weather in NYC, I took a walk up the Highline to Hudson Yards. As I made the turn west at 29th street, I saw The Shed emerge through the tall buildings. The Shed is a new arts institution created to commission works from artists, both emerging and established, across multiple genres. It is all about facilitating and celebrating artistic innovation. I got involved with The Shed about four years ago around the time Alex Poots was selected as the Chief Executive and Artistic Director. Alex is an impresario of the modern age, comfortable working across many genres and with artists of all kinds, from Grammy-winning musicians to kids he sees dancing in the streets. 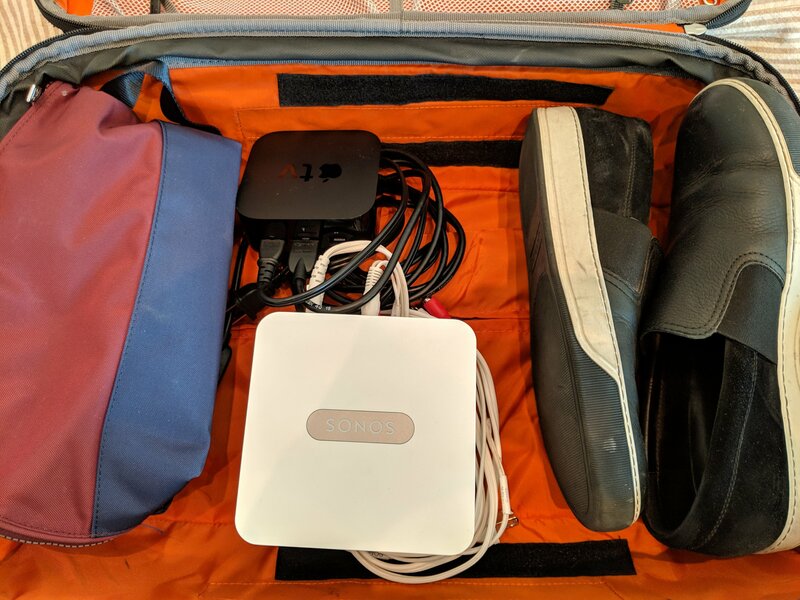 It is Alex’ ability to stitch all of this together and make it coherent, entertaining, and inspiring that infected me with an interest in what The Shed can be. I have consulted with The Shed on technology matters and the Gotham Gal and I have been benefactors as well. 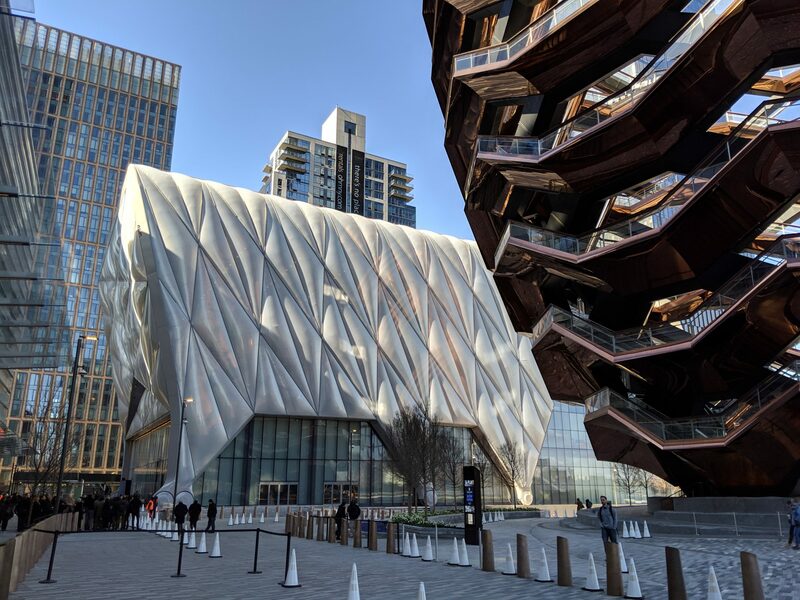 Yesterday The Shed was dedicated and the opening performance, The Soundtrack of America, which features performances from roughly thirty emerging black musicians, will open friday night. We will be there. The person who made The Shed happen is my friend Dan Doctoroff. It was a proud moment for me yesterday to see Dan standing up on stage talking about this thing that he helped to make happen. 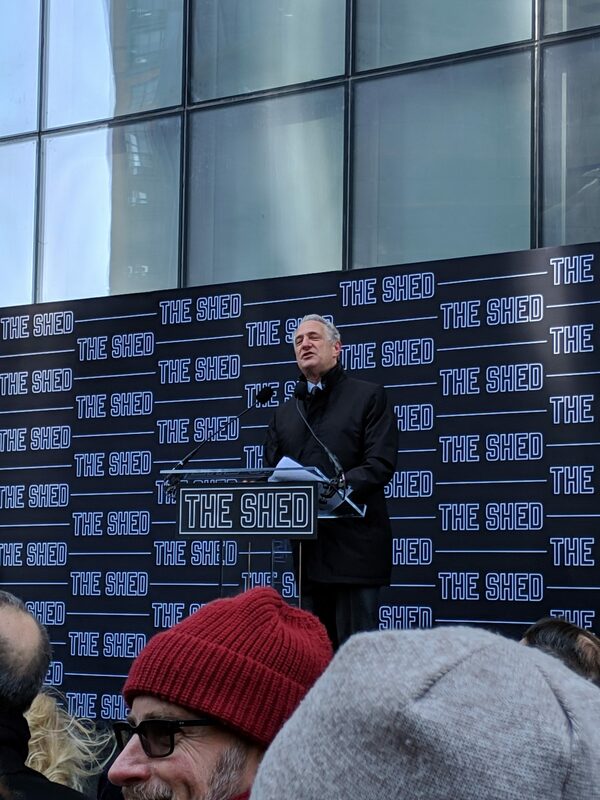 It is my hope that The Shed will have the same cultural impact on NYC that Lincoln Center, Brooklyn Academy Of Music, and similar arts institutions have had. It is really rewarding to get involved in projects like this. Watching the idea come together, then watching it get built, and then watching it open. It reminds me that imagination and will can achieve so much. After predicting an IPO bonanza in my new year’s day post in 2015, and being largely wrong about it for four years, we are finally seeing it happen. Already we have seen S1s from Lyft, Pinterest, and Zoom. And we are likely to get them soon from Uber, Slack, Airbnb, and a host of others, in the coming months. 1/ We will have benchmarks from highly liquid markets in terms of what these high growth tech companies are worth. Until now, most of these benchmarks have come from illiquid private market auctions, which are not exactly the best price discovery mechanisms. 2/ Many employees, angels, seed investors, VCs, and growth investors will get liquidity from these investments and recycle it back into the startup sector. More capital means more startups and more innovation. 3/ Limited Partners, the providers of capital to venture capital and growth equity funds, will get large distributions which will give them more confidence in the startup sector and they will continue or perhaps step up their commitment to invest in early stage technology. 4/ These newly public companies will be able to accelerate their acquisition programs now that they have liquid stock and cash to fund those deals. That will further flow capital back into the startup sector. Of course there will be negatives. It will be harder than ever to afford to live in the bay area. But tech folks from the bay area are certainly welcome in NYC, LA, and any number of other startup regions around the US. Get paid on your stock and move to a more affordable and liveable region!!! As I mentioned last week, at the start of this interview Laura Shin plays a bit of my “rant” about Ethereum losing it’s lead. Vitalik, as is his nature, calmly reacts to it and rebuts it. The entire interview is interesting and hopeful for Ethereum holders like me.